My name is Kazuki Nakazaki, managing a school in Meguro. I wanted to send a message for the Returnee students. For my junior high school years I went to a public school called Meidai Nakano and for my high school, I went to Keio High. When I decided to take my high school entrance exam, I was already in my last year of junior high school so I couldn’t get into a good school to study, so I went to a small school for returnees called ENA. During my junior high school years, my grades were very good and I was always first. I enjoyed my club activities as well. But inside, I felt very bored and I couldn’t make many friends and was in search of exciting things each day. I told this to my mother one day and she replied, ‘Why not take an entrance exam to another school?’ and she went and found me an after school for returnees. I wasn’t planning to take an exam so I was far behind in my studies and the schoolwork was hard to catch up on. The friends I made in the school all had foreign experience and it was interesting for me to listen to their stories everyday. There was a girl from ENA who I studied through Keio and university together, and one day I saw her getting scolded at for not doing any of her English homework. She replied with confidence, ‘I can get full marks on English without doing my homework so I want to spend that time studying Japanese.’ This was shocking and at the same time, mesmerizing. There was a friend of mine who studied with me and he was very strict, taking something called a UN exam in junior high school. I was going to test for the same school as him so I completely relied on him on getting the train to the exam. We even did the personal marking of our exams after it was over. His words of reassurance before and after the exam was much more soothing than any other teacher’s. Like so, the returnee students were so kind to me till the end resulting in me taking the exams without getting nervous. Keio High School is a very nice school and I know almost half of the students coming in from high school have foreign experiences. This is a school where students with unique talents and personalities do whatever they want, however they want, and whenever they want. 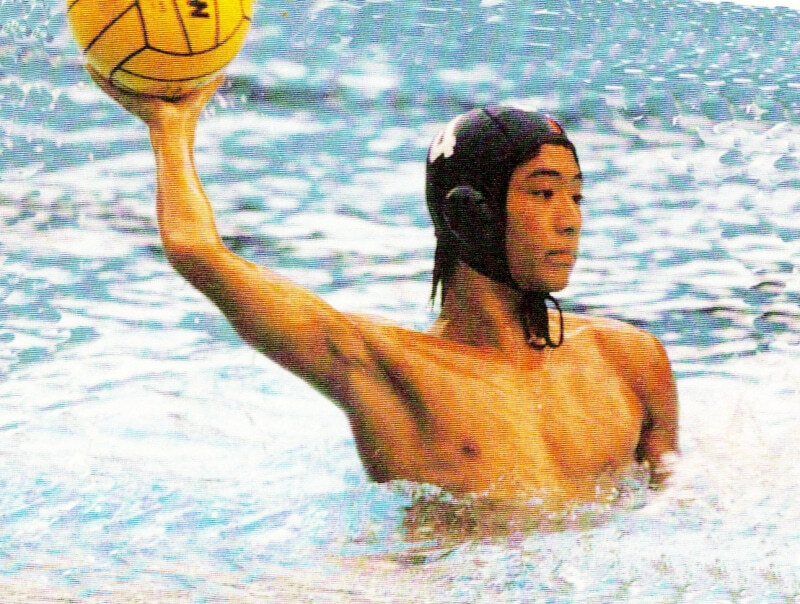 (I was in the water polo team for the 3 years but I felt I didn’t do enough studying which I regret. I would like to tell this to the next generation so they can learn from my mistakes.) I personally haven’t had any foreign experience but I felt that I was the ‘minority’, which was the only connection between the returnees and I. The returnees were the minority in foreign countries and I was the only student taking an entrance exam in my junior high school, which also made me a minority. I felt that these harsh circumstances of making your path for yourself with your own power, is the similarity between us. Of course I haven’t gone abroad so circumstances may have been harsher for the returnees. Through all this I was able to go to Keio High School, and I felt that I had to help returnee students and foreign people struggling in Japan now in some way. In my school I have in Meguro, there are many teachers with foreign experiences that can help and support not only with studies but their student life as well. If you have any troubles or stress during your studies for up coming exams or everyday studies, please feel free to contact us any time. We will be looking for to seeing you soon. ※ I can only speak simple English so it would be nice if you could send me emails if you need any help. If unstable English is ok, you are more than welcome to call us anytime. Hello! My name is Hayashi, working in Meguro Nakazaki School as a teacher. I would like to deriver a message for students who used to live abroad, especially those currently studying in English at school, or having trouble studying everything in Japanese. Meguro Nakazaki School welcomes everyone who would like to study in English, or improve both Japanese and English skills. We have teachers that are familiar with English. For example, I am the graduate of Keio Academy of New York, and used to live in US for 10 years. Also, there is teacher who has passed Eiken Grade 1. At Meguro Nakazaki School, we can give a lesson based on your school program in English. It is also able to give an advice for anyone considering to apply Keio Academy of New York. Please feel free to contact us if you're interested. Let's study together! Copyright 目黒中崎塾. All rights reserved.